Last Saturday we headed to Liberia for our first "away' basketball game. 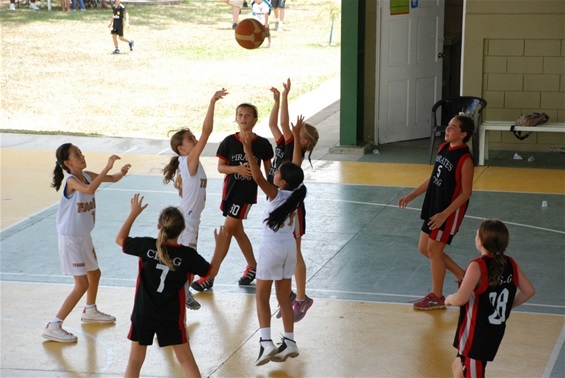 It was with Teocali and was played in another open air basketball court. The swim meet started first, then on to basketball. Some kids did both. To get there we went to Liberia then turned left at the Pan American Highway. Yes, the one that goes from Alaska to the tip of South America. Just so you know there is a McDonalds on one corner, Burger King on another and Citibank on another.